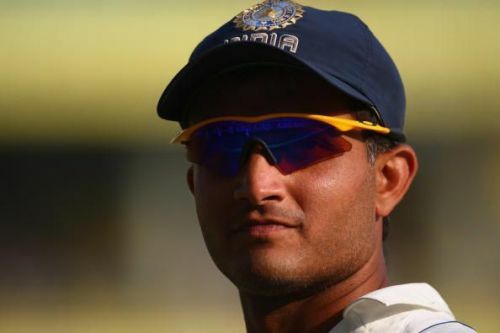 Former Indian cricketer Hemang Badani has said it was Sourav Ganguly who bridged the gap between seniors and juniors during the 2001 series against Australia. According to Badani, Ganguly made sure there were no senior-junior tussle among the teammates, and the unity that followed turned out to be the winning strategy. The then skipper had also urged his teammates to respond to Australia's sledging in a similarly aggressive manner. India won the famous Border-Gavaskar series that year by a margin of 2-1. Steve Waugh's men dominated in Mumbai but India made a strong comeback in the historic Eden Gardens Test in Kolkata. The hosts went on to beat the favorites in the final Test in Chennai as well, with just two wickets to spare. In one of his social media posts '#StorieswithHemangBadani', he said, "Ganguly insisted that no cricketer stayed with their regular partner; the captain ensured that every junior shared a room with a senior." Badani also narrated a tale of 'then' Indian skipper's team tactics and how he encouraged the younger lot to have a go at the Aussies. Ganguly spoke to the team and said that if an Australian can be tough and hard then the hosts can be the same. He urged the Indian cricketers to have a go at the visitors if the latter crosses the line. During the famous Kolkata Test, Badani came in as a substitute fielder in place of Nayan Mongia. He kept having a go at the Australian skipper Steve Waugh, who was batting well at that point of time. Waugh wasn't impressed with all the chirping and told Badani, "First play a game for your side and then talk to me". The rookie Indian cricketer didn't back off and hit back at Waugh saying, "Doesn't matter if I have played a game or not, you have a job to do and I have a job to do as well, you do yours and I will do mine". Incidentally, it was Badani who had the last laugh, as he took the catch of Waugh. Ganguly has always been known as the people's captain. Under his captaincy, India performed fairly well on foreign soil. Apart from sharing the Champions Trophy honors with Sri Lanka in 2002, India went on to with the Natwest Trophy in England and finished runners-up in the 2003 World Cup. Badani made his debut under Ganguly and credited the latter for his man-management skills. In 40 ODIs, Tamil Nadu-born Badani scored 876 runs, including a hundred against Australia. He also represented India in 4 Test matches. Australia are set to tour India for a limited overs series. The contest kick-starts with the first T20I in Vizag on 24th February. It will be followed by two more games and then we move on to the ODIs. Indian skipper Virat Kohli will make a comeback in the ODIs after resting through the series against New Zealand. All-rounder Hardik Pandya has been ruled out of the home series against Australia with a 'lower back-stiffness' and Ravindra Jadeja has been named as the replacement for the ODIs.